Iterable, a multi-channel growth marketing automation platform for eCommerce companies, has launched a new feature in their software offering called Workflows. What does Iterable Workflows do? The new feature allows marketers to design personalized, multi-step email campaigns. 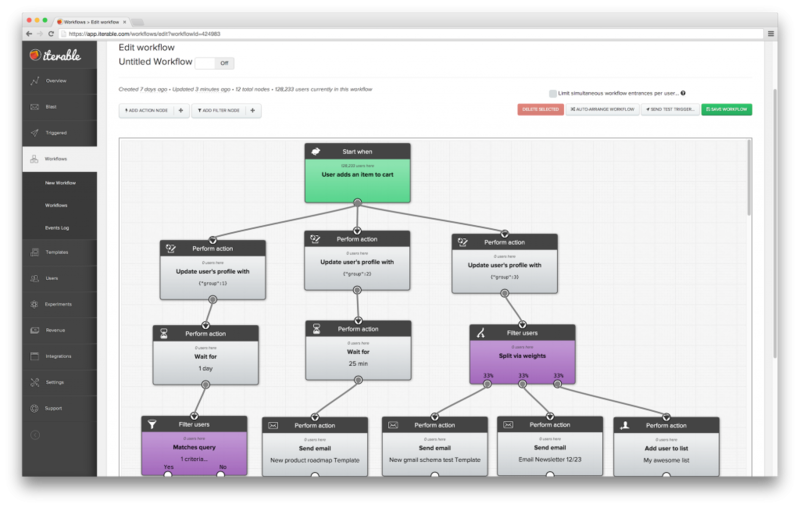 Workflows includes graphical interface with a drag-and-drop editor for designing drip campaigns. These event driven campaigns are launched by a trigger such as a purchase, shopping cart behavior, newsletter signup or other custom event. Users can add in time delays and filters, which ensure that only subscribers who fulfill certain criteria will move on to the next step. Event driven campaigns built through Workflows includes built-in safeguards such as automatically preventing subscribers from entering a drip campaign more than once or being sent too many emails within a two hour period. The Iterable platform already included event driven emails, email newsletter deployment, email split testing, real-time subscriber list segmentation, mobile email previews and deliverability management. Email Marketers using Workflows can also create and A/B test multi-pronged email campaigns to see which message series works best. More features added every day? 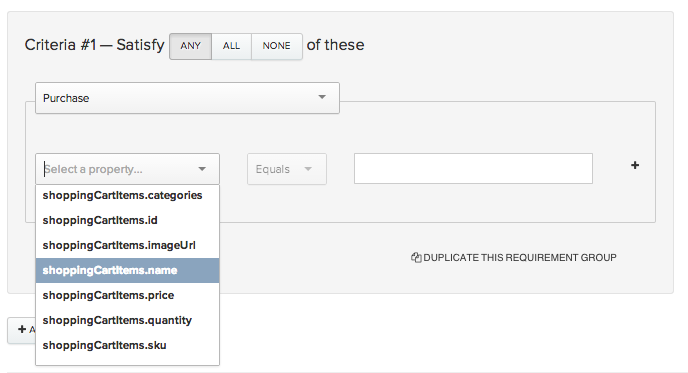 The Iterable segmentation tool now allows marketers to run nested shopping cart queries to look for people who have purchased an item with a certain name, with a specific SKU number, or belonging to a certain category. This segmentation feature allows you to create dynamic lists, which simply saves a segmentation query and pulls the most up-to-date list of subscribers that match that query each time a list is used. For example a marketer could create a dynamic list called “High value shoppers”, who are customers who have spent $500 or more and it would update automatically each time the list is used.